What follows is a brief description of the major commentaries on English law from the thirteenth to the eighteenth century. 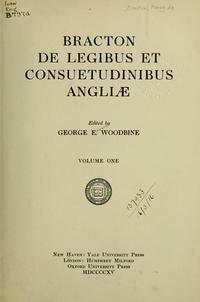 Bracton's chief work was De Legibus et Consuetudinibus Angliae (The Laws and Customs of England), some of which was probably the work of William Raleigh, who was Bracton's mentor, then added to and updated by Bracton, who is thus credited with the work. Bracton's other contribution was the Note Books, which provide commentary on roughly two thousand cases from the plea rolls that came into his possession. Bracton was not seeking to develop "case law" or authority derived from the cases about which he wrote; there was no sense of stare decisisin his commentary, but in some of the cases he selected, he occasionally offered praise or criticism. Plucknett suggests that Bracton's method, offering commentary on cases, created a demand for more case-based commentary and thus may have given rise to the later preparation of the Year Books. 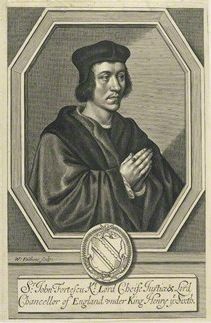 Bracton is said to have been somewhat influenced by Roman Law as he had studied the work of a famous Italian lawyer, Azo of Bologna as well as Justinian's Corpus Iuris Civilisand canon law. He borrowed from them large maxims as might be derived from universal or natural law, but "the main matter of his treatise is genuine English law laboriously collected out of the plea rolls of the King's court." Bracton apparently did not take sides in the Second Baron's War (1264-67), although, consistent with the position of the barons who had demanded the Magna Carta from King John in 1215, he was clearly opposed to unrestrained royal power. Thus the recognition of the force of the Magna Carta lay at the basis of his view of the law and royal authority. He wrote, "The king has a superior, namely God. Also the law, by which he was made king. Also his curia, namely the earls and barons, because if he is without bridle, that is without law, they ought to put a bridle on him." In addition, "The king must not be under man, but under God and the law, because the law makes the king...for there is no rexwhere will rules rather than lex." Fortescue is best known for his book,De Laudibus Legum Angliae ( In Praise of the Laws of England), which is a didactic account of law and governance in the form of a dialogue between a prince and his teacher. In this case, the prince is probably Prince Edward, son of Henry VI of the House of Lancaster, during his exile in the War of Roses. Fortescue served the House of Lancaster as Chief Justice of the King's Bench from 1442 to 1461 and was also elected to the House of Commons eight times, experiences which shaped the central maxim of his writing: "A King of England cannot at his pleasure, make any alterations of the laws of the land, for the nature of government is not only regal, but political." In this, as in his declaration that the king cannot levy taxes without the consent of his subjects, in his definition of justice derived from sworn juries, "twelve men good and true," in contrast to the judicial use of torture in contemporary France, whose despotism he specifically denounced, Fortescue reflected the principles of the Magna Carta. 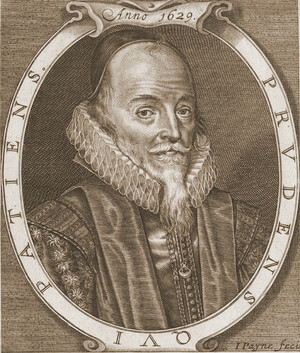 Sir Edward Coke was perhaps the most famous jurist in England during the reigns of Elizabeth I, James I, and Charles I. He held numerous prominent positions, among them Speaker of the House of Commons, Solicitor General, Attorney General, Chief Justice of the Common Pleas, and Chief Justice of the King's Bench. As Attorney General, he prosecuted Sir Walter Raleigh in 1603 and the conspirators in the Gunpowder Plot in 1605. By ruling against the actions of James I in 1616, he lost the King's favor and was subsequently dismissed from office. His judicial career at an end, he re-entered the House of Commons where he became a frequent critic of James I and Charles I. In response to Charles' imposition of taxes without parliamentary approval and his imposition of martial law, Coke drafted The Petition of Right, which passed both houses of parliament and was ultimately signed by Charles. The Petition of Right proclaimed various "rights and liberties" of free Englishmen, including freedom from taxation without approval from parliament, the right of habeas corpus , a prohibition against the billeting of soldiers in the homes of civilians against their will, and a prohibition against imposing martial law on civilians. The Petition of Right, along with the Magna Carta, and the Bill of Rights of 1689 are seen as the major pillars of English civil liberties and constitutional law. It also profoundly influenced the drafters of the U.S. Constitution. As the leading expert on English legal history, Coke published the Law Reports, a summary and commentary on the legal cases with which he was familiar or in which he had participated. As a compendium of legal decisions it became a textbook for English lawyers. It had a profound impact on the evolution of English law. His four-volume study, Institutes of the Lawes of England, considered his masterpiece, also had a significant impact on legal thought in England and the United States. The first volume, a commentary on Sir Thomas Littleton's Treatise on Tenuresdealt with the history of law related to land-ownership. The second volume dealt with "ancient statutes," provided a chapter-by-chapter exposition of the Magna Carta and legal decisions related to it. The third volume dealt with treason., and the fourth with the jurisdiction of the courts. Coke's commentary on the Magna Carta was the first commentary on law to analyze the Magna Carta chapter by chapter and to add the commentary on law cases that pertained to each chapter. His resurrection of the Magna Carta provided a reference to the ancient liberties guaranteed to Englishmen and thus became especially important in shaping the legal thought for resistance to the rule of Oliver Cromwell and preparing the legal foundation for the Glorious Revolution. Thomas Garden Barnes, Shaping the Common Law, Allen D. Boyer, ed. (Stanford, 2008), 33-34. Theodore F. T. Plucknett, A Concise History of the Common Law (5th ed., Boston, 1956), p. 261. Pollock and Maitland (get full citation), I, 208-209. De Laudibus Legum Angliae, Chapter IX.